Thomas Brandes got infected with the sailing bug at the age of 11 during a summer holiday on the Island of Föhr in the North Sea. Fascinated by the the forces of nature and feeling the lure of adventure he first learned sailing on dinghies. Later when old enough to do the offshore license he startet sailing on yacht and embarked on his first journeys. He was always active in several sailing clubs and the local rescue service where he became captain of a rescue boat. After high school he embarked on his first blue water journey, from the Caribbean to Tahiti. During his time at university several blue water deliveries as co-skipper and skipper followed. The student job turned more and more professional. He spent several seasons working as skipper and sailing instructor, mainly in Holland on the North Sea but also Atlantic and Mediterranean. Following his heart , he moved to Corfu in Greece in 2008 where he now lives and works as a skipper and manager of Daydream-Yachting. 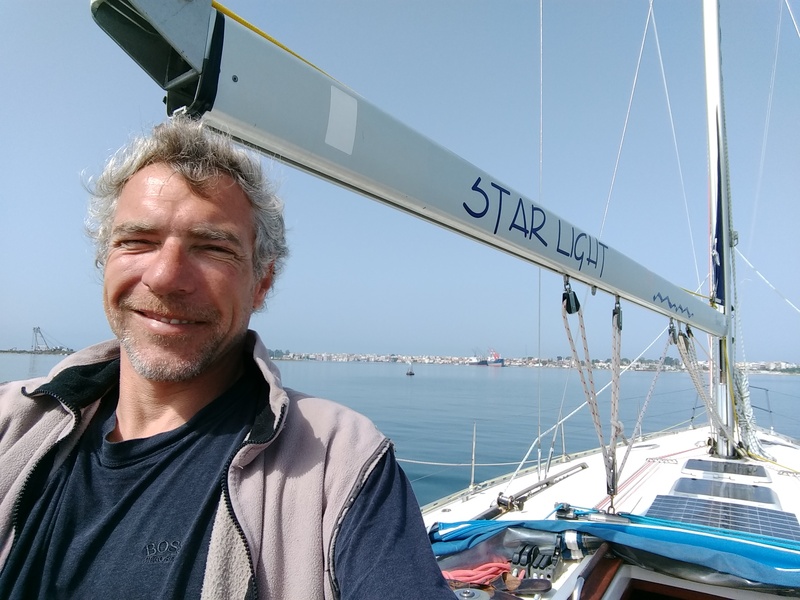 Having more than 60.000 nm experience he can assure the safety on board as well as the peace of mind for all the crew and can share a lot of tips and tricks for the those interested.